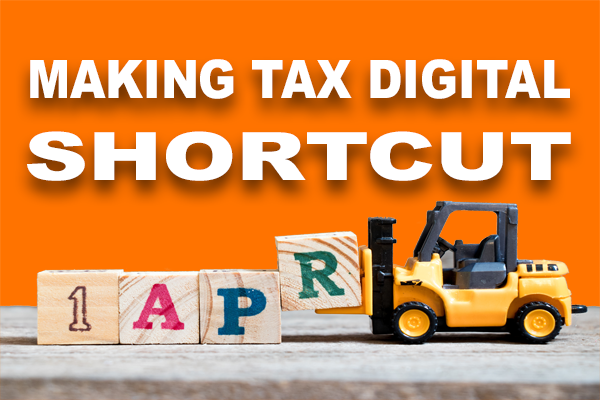 Despite all the raging debate, the everyday life of accountants and bookkeepers who act as agents for their clients is not going to change with Making Tax Digital (MTD). That doesn't mean that there aren't things they need to do but for clarity, they're really one-off things to do with readiness and therefore they just need a process in place to make sure it all get's done. If you're reading this because you're in a panic, make sure you've read our MTD Shortcut so you can breathe easy to take in the next bits! While the press and pundits keep talking about 1st April 2019, there are in practical terms different deadlines for readiness. Agents offer varying level of services to their clients but they key determinant in MTD preparation is who has responsibility for submitting VAT Returns. If it is the client, then agents need only advise the client on readiness. If it is the agent then there is very real work to be done! The 10 steps outlined here apply to agents who have responsibility for submitting VAT Returns on behalf of their clients. NOTE: Agents who already have credentials for the Government Gateway will still need to create a new Agent Services Account. This means that agents will end up with two sets of Government Gateway IDs and passwords : one for submitting VAT Returns for clients who are in the scope of MTD and one for other submissions e.g. Income Tax, Corporation Tax etc. The agent should confirm that the client appears in the list of clients via the Agent Services Account. The agent should log into their Agent Services Account and check that all clients they will be submitting VAT Returns for are in the list of linked clients. Onkho's cloud based practice management solution allows accountants and bookkeepers to build and track their own processes and workflow so its an invaluable aid for MTD readiness. To see how the 10 step process can be built and tracked in Onkho continue reading here. Emanur is a former management accountant turned Chief Technology Officer. After 20 years working his technology and accounting skills in investment banking he left his role as a CTO at The London Stock Exchange Group to found onkho. Emanur pushes the business' strategy and execution and occasionally opines on what he thinks is interesting.